Kim Kelleher is the chief business officer of GQ, GQ Style, Golf Digest, Golf World, Pitchfork, and the Wired Media Group — comprised of Ars Technica, Backchannel, and WIRED. Most recently, Kelleher served as the chief business officer of Allure, Brides, Glamour, Self, and Teen Vogue. Prior to that, she was chief revenue officer of Wired Media Group. Kelleher’s career in media, marketing, and advertising spans more than 20 years. Before joining the Wired Media Group, she was president of Say Media. Previously, Kelleher was the worldwide publisher of Time. During her tenure, she was named Advertising Age’s Publisher of the Year in October 2011. Kelleher also served as vice president and publisher of Sports Illustrated, where she was the first female executive to lead Sports Illustrated advertising sales in the history of the brand. 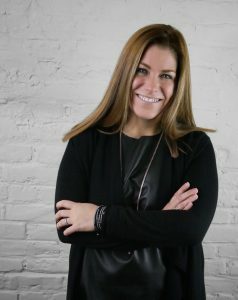 Prior to that, she was vice president and publisher of Self and was inducted into the American Advertising Federation’s Advertising Hall of Achievement, the industry’s premier award for outstanding young advertising professionals. Kelleher is active in many philanthropic initiatives. She is currently chair of the American Advertising Federation and serves on numerous boards including the Board of Governors of Cancer and Careers, the charitable arm of Cosmetic Executive Women (CEW), New York Women in Communications, and the University of Wisconsin–Madison School of Journalism and Mass Communications.